Sri Lanka's jinxed second international airport was left without a single scheduled flight from Friday after the only airline using the remote facility scrapped its daily service. The airport -- a five-hour, 250-kilometre (150-mile) drive from the capital Colombo -- is located inside a wildlife sanctuary and smack in the middle of a migratory route for birds. 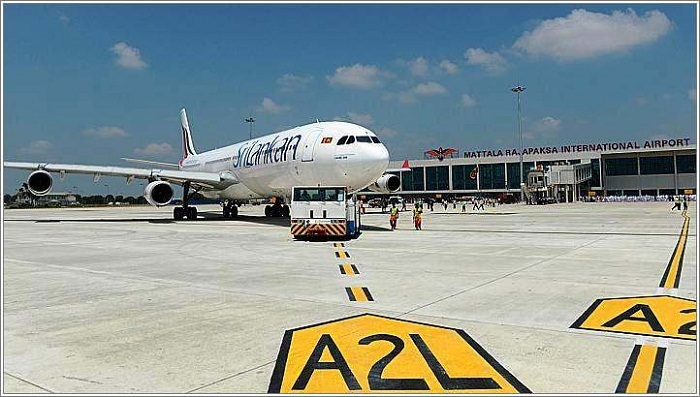 The airport, which cost an initial $210 million and employs some 550 workers in Rajapakse's home district, has failed to generate enough business to pay staff, let alone make a profit. Rajapakse's administration had offered hefty concessions and initially attracted Air Arabia -- which pulled out after only a few weeks -- and flydubai. Even Sri Lanka's national carrier Sri Lankan Airlines stopped flying to Mattala in 2015 saying the move saved them $18 million annually. Mattala will however remain an emergency alternate landing location for flights heading into Colombo International. Earlier this year the world's largest aircraft, the Antonov 225, refuelled there. Last August, China took over the loss-making deep-sea port of Hambantota in the south of Sri Lanka on a 99-year lease under a $1.1 billion deal, sparking particular concern in neighbouring India.